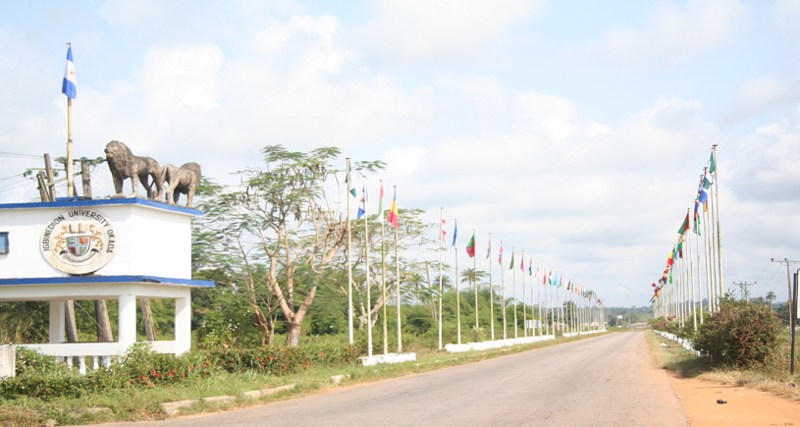 The University commenced its academic programmes in the 1999/2000 session in five Colleges namely, Arts and Social Sciences, Business and Management Studies, Health Sciences, Law and Natural and Applied Sciences. The foundation students arrived Okada on Friday, 15th October 1999. Since then, the University has without interruption upheld its resolve to return tertiary education to the internationally accepted calendar of September to June. The College of Engineering commenced its programme in the 2002/2003 session. The College of Health Sciences continued to be an area of popular demand. The College of Pharmacy and B.Sc Nursing commenced in 2004/2005 session. The Igbinedion University Teaching Hospital administered by a Management Board inaugurated first on 12th January 2003, oversees the affairs of the Hospital. As part of its objectives to train and produce job providers, Igbinedion University has Packaged entrepreneurial and skills acquisitions modules to expose students sufficiently enough to be 'fit for the world of work'. In addition, a community service programme was introduced in the 2009/2010 session. Under the programmed, all second-year students across the Colleges are required to undertake a practical development Programme in a chosen area and community in and around the university/town. The student population has grown steadily from 111 in the 1999/2000 session to 5036 in 2012/2013, while the staff strength has increased from 55 in 1999/2000 to 565 made of 290 Teaching staff (50 of whom are Professors) 153 Senior Non-Teaching staff and 213 Junior and Intermediate staff over the same period. Academic programmes in Medicine, Law, Arts and Social Sciences, Business and Management Studies, Natural and Applied Sciences and Engineering which are mature, are re-accredited, from time to time by Nigerian Universities Commission and the relevant Professional bodies. The Oba Erediauwa College of Law turned out its first crop of graduates in 2004. The eleventh batch graduating today is already at the Law School. At this convocation, the University is graduating its eighth set of Medical Doctors and has continued to maintain the distinction of being the first ever Private University in Africa, South of the Sahara to produce Medical Doctors. The University is also graduating her eighth crop of talented and well-groomed Engineers from Gen. Abdulsalami Abubakar College of Engineering. The department shall prepare students for the award of PhD (Accounting) Degree of this University. To provide a highly motivated academic environment that fosters the academically minded to pursue further studies and research in management. To contribute to the supply of academic and professional accountants both for Nigerian Universities and Nigerian industries. The degree shall be awarded with honors provided a student obtains a Cumulative Grade Point Average that is not less than 1.5 and satisfied the minimum honors requirements.